We continue to make improvements to the Tools and Settings menus based on user feedback. Last month we added categorization making finding the tools and settings you are looking for easier. Previously the only entry point for this feature was through the pinned part in the resource blade (1), now the same functionality surfaced in the Settings menu under the Publishing category (2). 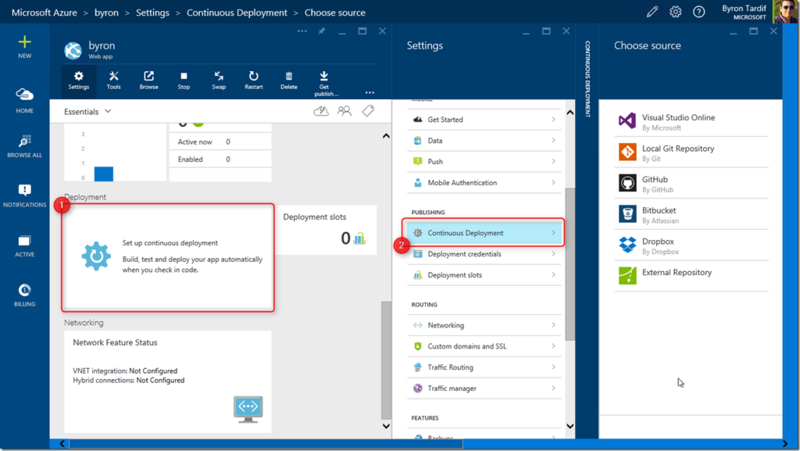 You can now add Mobile capabilities such as Push notifications and Offline sync to any of your existing Web Apps. Matthew Henderson goes into a lot more detail in his blog post, Azure Mobile Apps August 2015 update. Project Kudu is the companion app that lives alongside every App Service app. 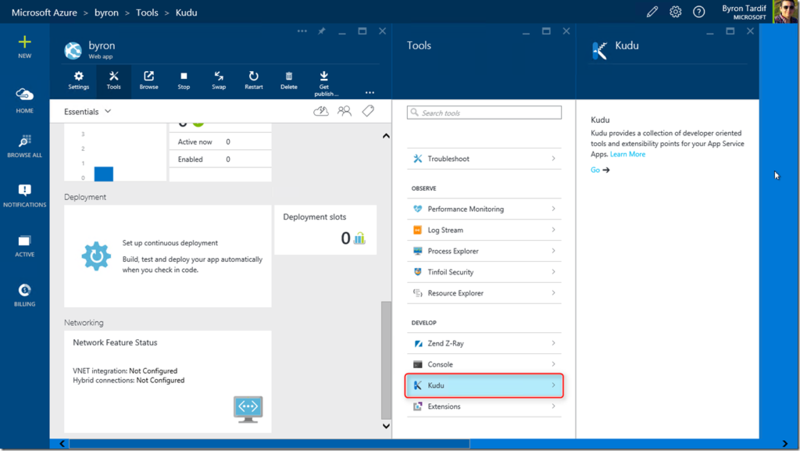 Kudu provides backend functionality for features like Web Jobs, Continuous Integrations and Site Extensions. It also has a collection of environment information and extensibility points that are valuable at development/debug time and has been a “hidden gem” for those that knew about it. With this release, Kudu is a lot more discoverable. You can find it under the Develop section of the Tools menu. 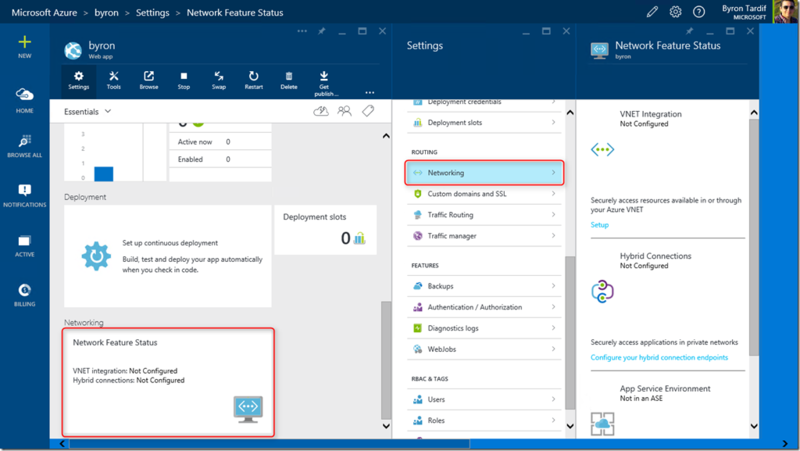 The new Networking tile provides an easier and more integrated experience for setting up advanced network connectivity for your apps, as well as surfacing relevant connection information once connections have been established. 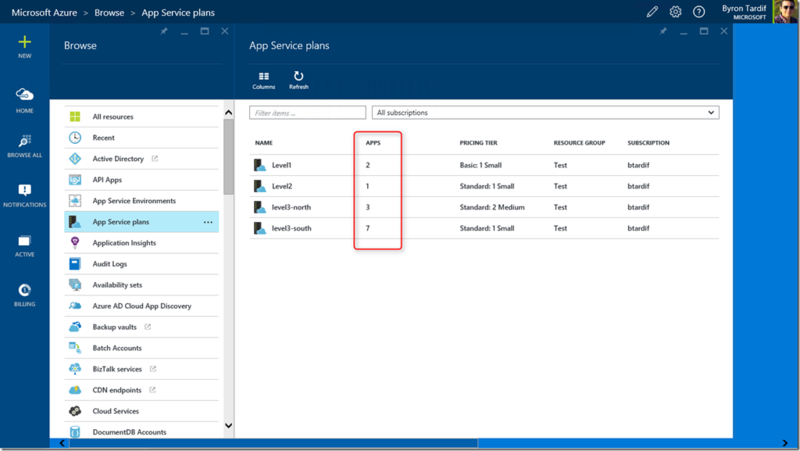 App Service Plan browse experience now includes the number of apps deployed to each app service plan. 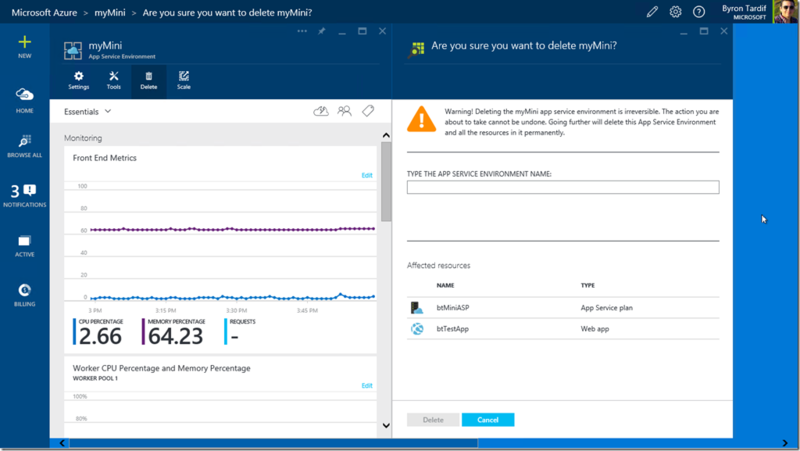 App Service Environments have an improved delete experience. 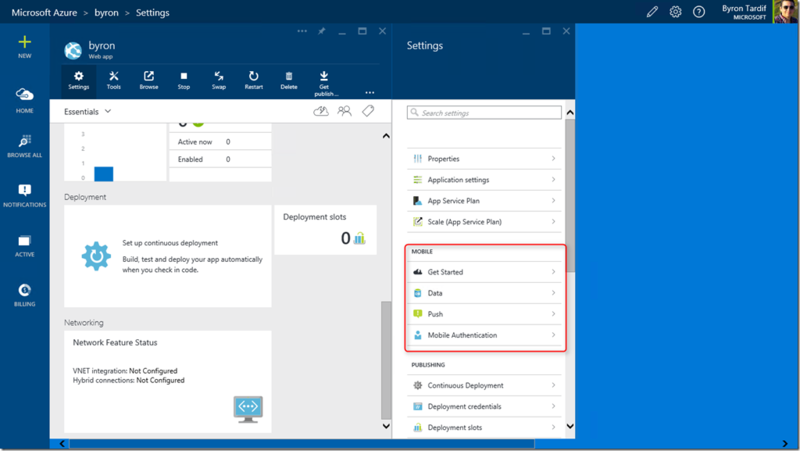 Now you can Delete an App Service Environment and it will cascade delete any resources it contained. The new experience includes a list of all the resources that will be affected as a result of this operation. 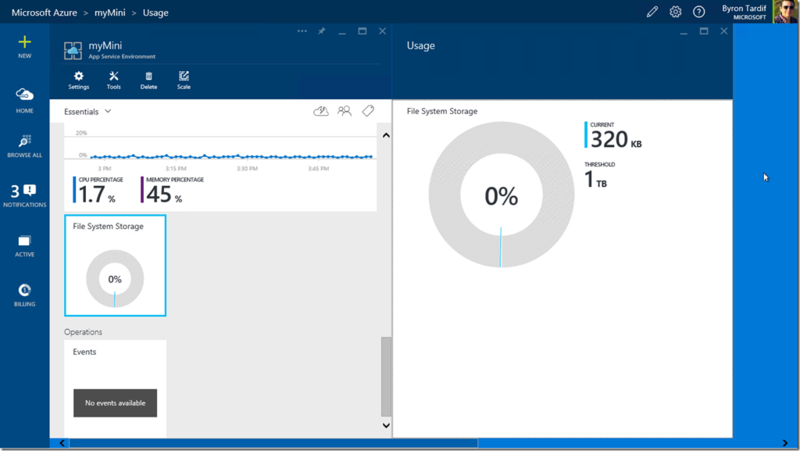 In this release we have added the File System Storage information to the App Service Environment resource blade. 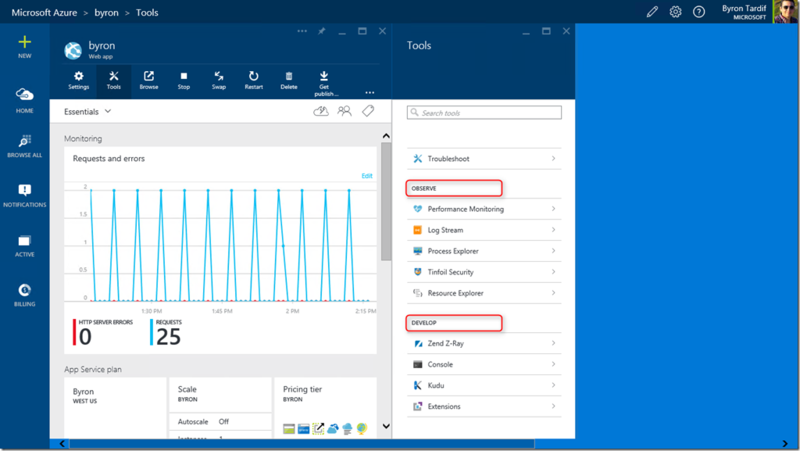 With this new UI you will be able to monitor the total file system used by all apps deployed to your App Service Environment.